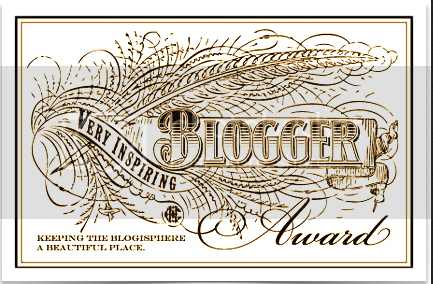 Little Heap Vintage: The Very Inspiring Blogger Award! As a very new blogger, I'm so delighted and surprised to be nominated for the Very Inspiring Blogger Award by the lovely Janey at Atomic Redhead, one of my very favorite blogs. I'm so honored she thought of me, let alone that my tiny, baby blog could inspire her! The icing on the cake-- among the wonderful blogs alongside which I was nominated are Jessica of Chronically Vintage and Lizzie of The Vintage Traveler, two ladies whose work I read religiously. So! The rules of the Very Inspiring Blogger Award are: share seven random facts about yourself, and then nominate seven bloggers who inspire you. 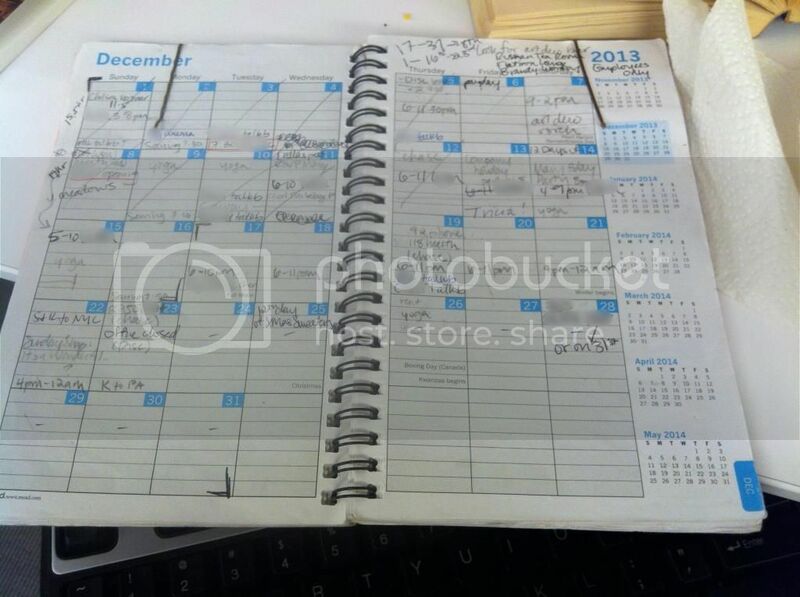 Fact 1: I'm obsessed with lists and calendars. Fact 2: I'm baffled by Pinterest. What do you do here? Is it an electronic Vision Board? What is the purpose?? I have no idea how to use Pinterest, and for far, far too long, I thought it was one of those unnecessary, made-up words like "jorts" to describe an interest in Pinter. Really though, were we not all doing okay with the phrase "jean shorts?" Fact 3: I'm a vegetarian... but I like fur. Like many vintage lovers, I struggle with my admiration of fur. I've always justified it by the fact that the fur I own is older than my mother, and that I'm making use of something that's already been done. But I always have this niggling question at the back of my head--if someone sees and likes the fur I'm wearing, and decides to purchase one of their own, will they buy vintage? Or will they buy something new, and perpetuate the contemporary fur trade? I haven't quite solved it in my mind, so I'll just say, everyone, if you buy fur, please, please buy vintage! Fact 4: I love learning languages. one of the most beautiful places I've ever been. Middlebury students in the 1920s! Photo courtesy of Lizzie at The Vintage Traveler--thanks Lizzie! I'll take a class in just about anything, and if I could, I'd spend my life learning and taking courses. 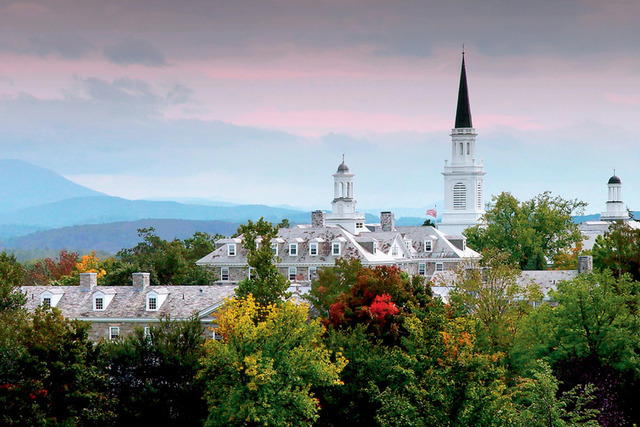 But I adore learning languages-- over the years, I've studied Ancient Greek, Latin, Italian, and Russian, all to varying degrees, but the ones I love and have stuck are French and German, both of which I learned in gorgeous Middlebury, Vermont, at their summer language program. It's an amazing, seven-week program in which you pledge to speak, read, listen to, and hear nothing but the language you're there to learn, and those were some of the best weeks of my life. On my list of things to accomplish ASAP is to find a community in which to practice them! Fact 5: This guy here owns me. 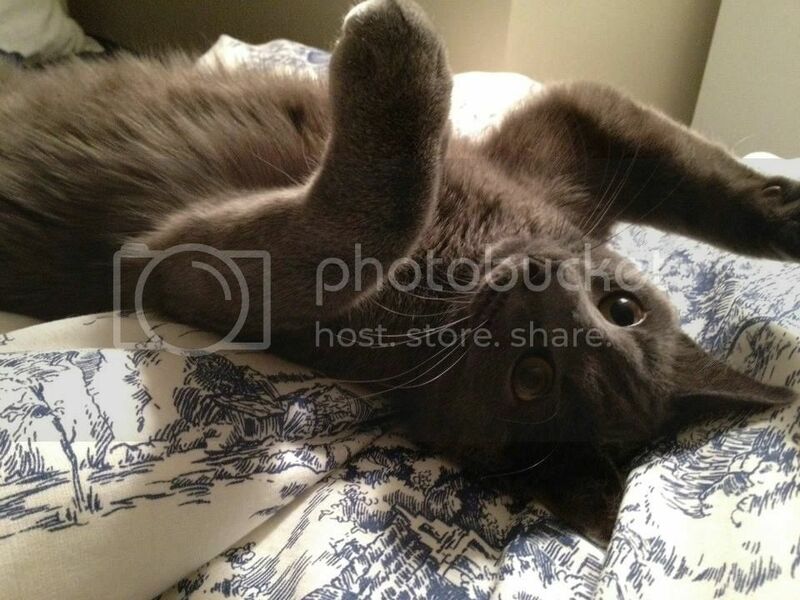 This is Jack, my year-old grey cat. I was never an animal person--I don't want to eat them, but I never took to any of my family's pets growing up. Then this guy curled into my lap at the ASPCA and, well, now he owns me. 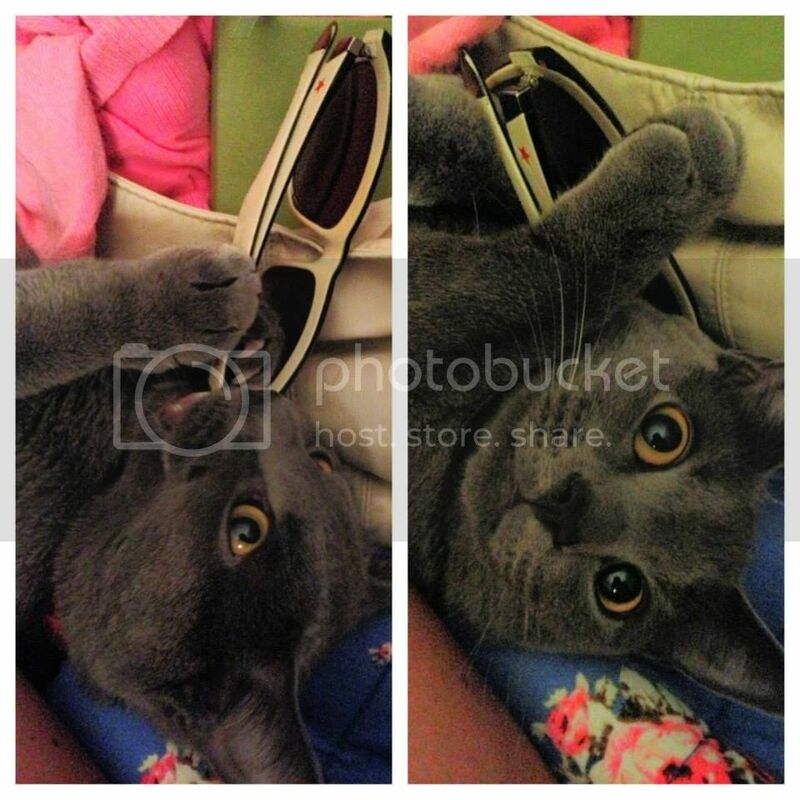 Even when he chews my sister's sunglasses, he's cute. Probably not so much to her. Fact 6: I'm just not that into Bakelite. Wait, before you pelt me with vintage bangles! I just don't have the gene! Bangles in general don't hold a lot of appeal for me, since they tend to bang up against keyboards or writing surfaces (though I did get one for my birthday that's an exception to the rule), but one that smells of formaldehyde when rubbed just goes over my head. But the great news is, that means more Bakelite for those who love it! *I'll also admit, until a few weeks ago, I thought it was pronounced Bake-lite. 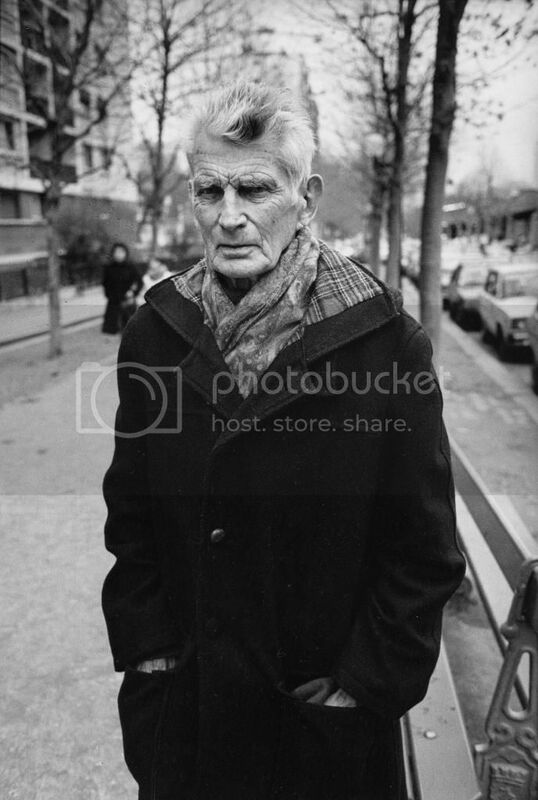 Fact 7: This blog is named after Samuel Beckett. I mean... this looks like a funny guy, right? Finished, it's finished, nearly finished, it must be nearly finished. (Pause.) Grain upon grain, one by one, and one day, suddenly, there's a heap, a little heap, the impossible heap. I promise it's a comedy! 1. Lisa at Mrs. Fox's Finery & Fancies. The profile of her wedding on Queens of Vintage actually helped give me the courage to start this blog, and to talk openly about being a queer member of the vintage community. 2. The simply stunning Louise at Pandora, for her insanely high-quality photos, her prolific posts, and her French-language view of the Paris style scene. 3. Fellow performing arts lady Frances at Polka Polish. I love her dual interest in vintage and nail art, and she wins for Woman Whose Wardrobe I Would Steal in a Heartbeat (sorry Frances). 4. Emma at The Fiercest Lilliputian, whose style is terrific, and whose beauty tutorials have helped me figure out the vintage beauty scene. 4. I can't talk about tutorials without mentioning Ashley at The Lisa Freemont Pages. I first learned how to set my hair through her videos, so I owe her an immense debt of gratitude! 5. Riikka at Harlean's Heyday is a definite inspiration. In addition to being a vintage style maven, she's also a member of the LGBTQ community, and even did a queer vintage photo series, to address queer visibility in the vintage scene. 6. Samantha's blog, The Couture Courtesan, is a new discovery (to me), and I've really enjoyed getting a broader view of fashion history through her 18th-19th-century lens. Plus, as a newcomer to sewing, it's amazing to see her creations! 7. Nikki Elledge Brown, The Communication Stylist. I went to high school with Nikki, who was and is just about the nicest, sweetest person you could meet, and her business has taken off in the last year. Her blog is chock full of help and encouragement for young entrepreneurs, and I've gotten more than a couple ideas from her work. Yay! I love all of your facts and can relate to many! I didn't get Pinterest really at all in the beginning. But I dig it now. I look at it as a virtual bulletin board that can be themed. So I have one that is all glamorous gowns, one for hair, one for the wild west. I use it to keep track of ideas and things I want or what to make or want to do. The hair board I would say gets the most use. While I'm not a vegetarian, I do understand the fur issue. I don't see a need for the current fur industry. It is such a terrible thing. 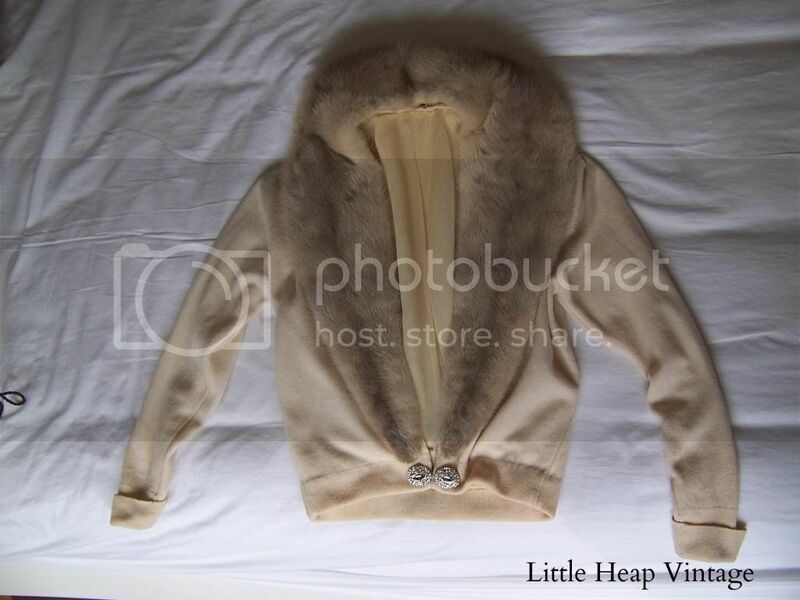 The thing about vintage fur is that there is nothing that can be done about it, so enjoy it! I've had a few debates about this on my blog. 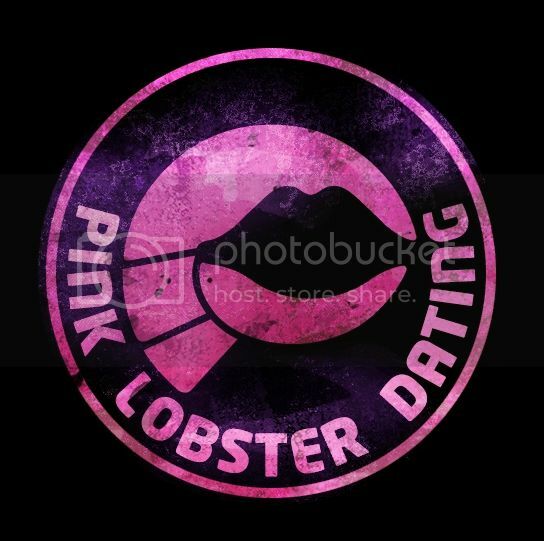 Fab selection of bloggers to nominate too! Thank you so much for the nomination and I am really touched by your words. Have wrote a piece on my blog about it. Really nice to know some random facts about you also, I'm a big fan of lists also!